The Goodyear blimp (I'm a huge fan) buzzed over Riceland Golf Course promptly at 9am this morning, I should have known it was an omen for how the day would go. Let's review the first annual Jack Leeder/Denny Hartzler golf scramble. We were disappointed that it was real golf, and not mini-golf. I practiced that windmill hole all week. The fact that we'd actually have to hit off the tee (and the BLUE!! tees to boot) was downright terrifying. But we settled in did OK, all things considered. The day started with some heartfelt thanks delivered to the group of golfers by Mike Leeder on behalf of the two families. I can say one thing for sure about the folks that put this together, they were truly humbled by the community support (donors, volunteers, golfers, sponsors, etc.) and put an effort forth that Jack and Denny would both be very proud of. Onto the golf, my partner and I had more highs than lows and sandbagged scrambled our way to a 6-over par 77. Not bad for a 20 handicapper, and a guy who hadn't swung the wrenches in a few years. 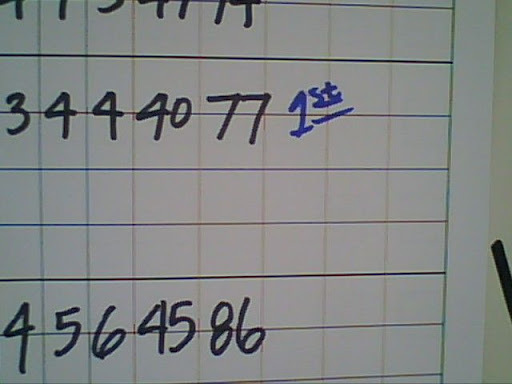 It was even good enough to take first place in the C Flight of golfers (no trophy, only some dead presidents). Yes, you read that right, your fearless leader blogger is now a champion golfer. It was only a matter of time. The sunburn was TOTALLY worth it. It was a great day of golf with good friends, good food, organized by great people, honoring 2 men who left the Orrville community too soon. We even had bird get killed in mid-air by a golf ball (don't ask). The fact that the event was to raise funds to provide a scholarship for a high school senior was the icing on the cake. Congrats again to the event organizers, for your first run at a golf tournament, you did everything very well. See everyone next year. Hopefully this outing grows each and every year. 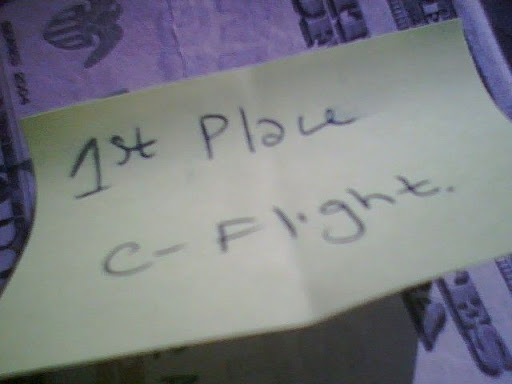 We hope to defend our coveted C Flight title next year. Maybe we'll move up to the B Flight next year and try to duplicate the "repeat while moving up a division" like the 94-95 and 95-96 Red Rider basketball team did.